SUP TEACHER TRAINING IN Paradise with BOGA YOGA Ambassador Jessica Amendola (ERYT200 & ACA) in Maui, Hawaii. 25 hour training with CEU’s granted for students who are 200 RYT Yoga teachers and CPR certified. 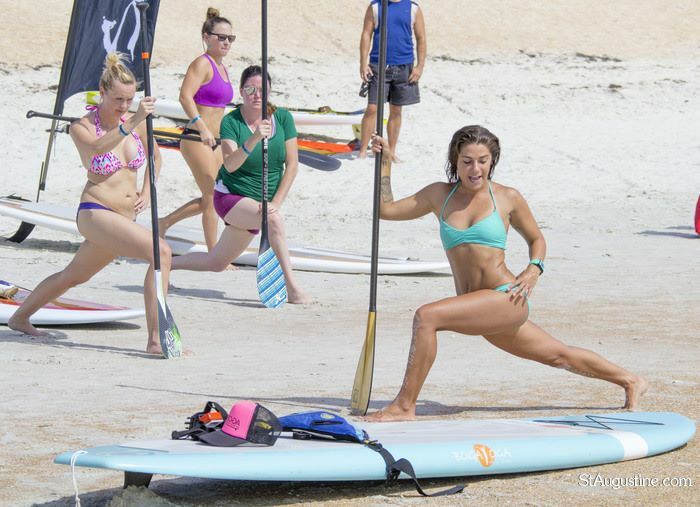 You will be provided with the BOGA YOGA SUP equipment necessary for this training. Intelligent yoga class sequences developed specifically for Stand Up Paddle Yoga with poses that are uniquely adapted to use the paddle, board, and water to enhance and elevate the experience of your class. Turns, strokes, and the ability to slow down, stop, and navigate confidently and correctly. Learn all about stand up paddleboards, what they are made of and how to choose and use the correct boards for yoga. Learn about paddles and what other gear is needed and legally required including what gear an instructor should always carry and how to use it. You will learn to asses your environment; lake, ocean, marina, river or pool. What to look for, how to negotiate with public and private property, permits, parking and water access. Learn natural conditions and what kind of gear to use to anchor students and instructors to create a successful FLOW SUP YOGA environment. How to be prepared and confident to keep all students safe and what to do in case of various situations that call for your immediate and appropriate action. Including how best to contact for help, how to rescue a conscious and unconscious victim, what to do in unexpected rough water, cold water, seasickness, heat stroke, etc. Including pricing classes, marketing and partnering with yoga studios and board rental shops, creating an online presence including booking classes and registration, taking payments onsite, liability insurance and waivers, creating a viral marketing movement using social media and more. Upon completion and passing of the course, you will be presented a FLOW SUP YOGA teacher certificate and be a new member of the FLOW family.